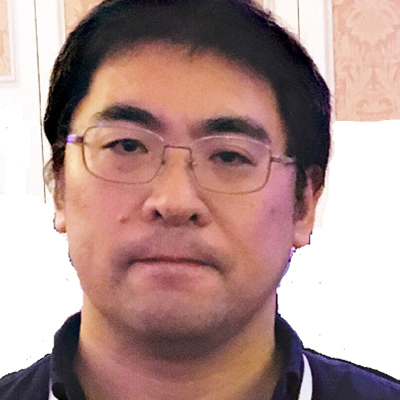 Youichiro Miyake has been involved in development of video game titles while researching game AI technologies as the lead AI researcher at game development company. He has developed and designed AI for numerous game titles. He has given many lectures in the universities and game developer conferences. He has published academic papers, which explain game AI and procedural techniques for digital games. Furthermore, he is the chair of the SIG-AI in International Game Developers Association Japan Chapter, and also serves on the board of Digital Game Research Association Japan and the Society of Art and Science. He is the author of the 3 books, Stories on Philosophy for Artificial Intelligence, Artificial Intelligence pictures book, and Making a game AI method (published in 2016). A digital game character in digital game lives in game 3D environment with a lot of objects, a complex terrain, and other characters. It sensors the environment, recognizes the situation around it, makes a decision, and moves the body in real-time to achieve a given goal or play a given role. I will show autonomous game characters’ behaviors in a game: FINAL FANTASY XV and explain their AI technical structures. Ever, in Family Computer and Super Family Computer (NES 1983, SNES 1990, Nintendo), a game character was controlled by a script program which game designer prepared by watching the game screen from the top view. That is a simple AI called “Scripted-AI” which just responds to a player’s action reactively. But as a digital game has become complex, a scripted-AI method has become not effective. Then AI becomes autonomous to adapt a complex environment in a digital game. AI of a game character solves a local problem around it to play a given role. A game character must recognize not only an environment but also its body and mind status. A consciousness model of game character has been studied in game industry and academic game research in long time. The history begins from a digital creature’s mind model of Synthetic Characters Group in MIT Media Lab in 2000. It is called “C4 Cognitive Architecture”. From 2001 to now, this architecture has been applied to character AI of many game titles and evolved to more advanced model by using sub-sumption architecture, new decision-making algorithms, learning system and so on. In this talk, I will explain the newest character AI model.